At the age of five, Orise developed a fascination with her mother’s skill at drawing the human figure. Her mother died soon after but the memory of her artistic talent lingered. At six years, Orise picked up pencil and paint to explore the mysteries of art. 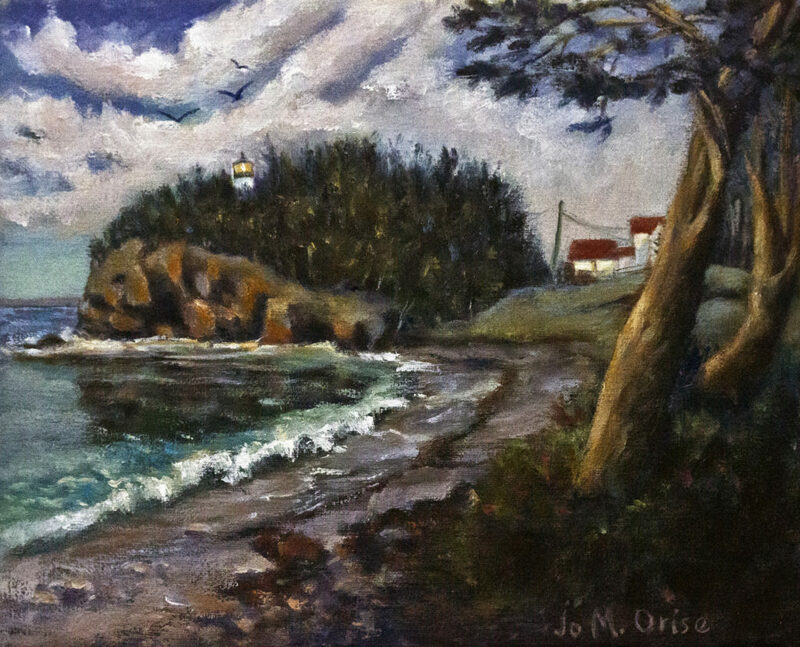 A graduate from USM, Orise earned a BS in Art Education and later studied art under the guidance of several professional artists in Maine, New Hampshire and Florida. In her travels around the country, she often stops to capture a moment she may paint en plein air or go to her studio to compose a painting from varied sources. Her focus is to capture a mood through the use of line, shape, form, color. Her work includes oil, watercolor, graphite, and woodcuts. 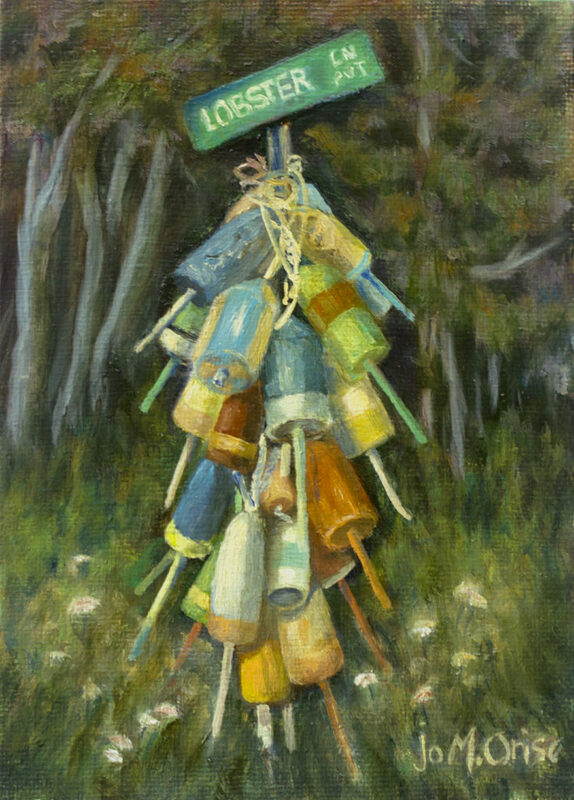 As a former member of the Artist Guild of the Kennebunks, she taught art at her Maine studio/gallery, Josoca Studios in Kennebunk, Maine until she moved to NH. Her work has been displayed in many guild and group shows as well as solo shows in Maine, New Hampshire and Florida. 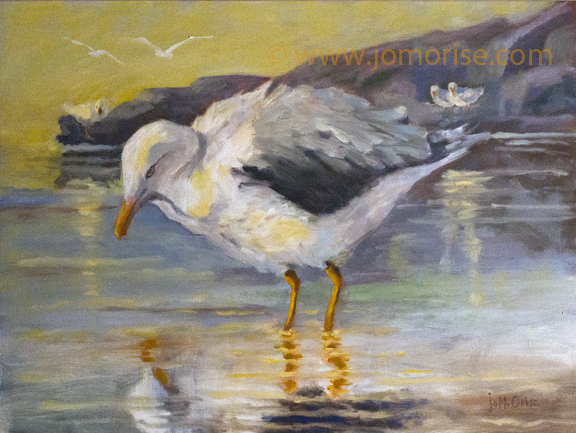 Orise's artwork is sold at galleries, businesses, solo, and group shows listed on her website. 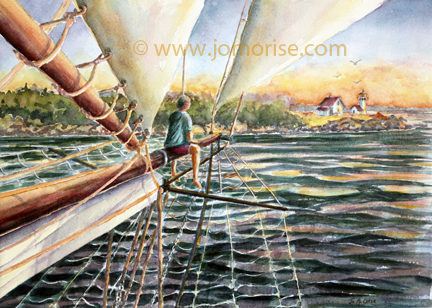 Or at her Maine working studio, Orise Studio/Gallery, by appointment through her website contact info at www.jomorise.com . 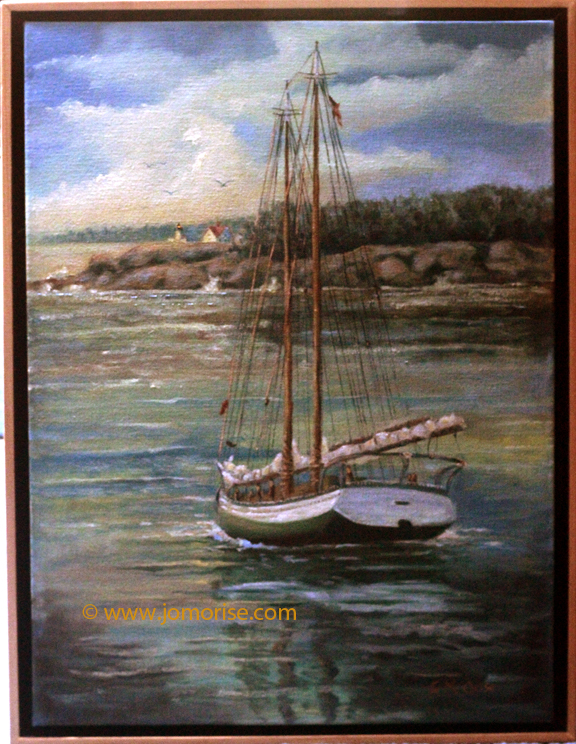 Present membership: Kittery Art Association, Kittery Point, ME; River Arts Gallery, Damariscotta, ME; Center for Maine Contemporary Art, Rockland, ME. Orise's other interests: writing fiction and poetry.